I have driven by the Scrambler Marie’s restaurant on Broad Street probably 20,000 times--literally--since it opened--but, never seem to find my way there for breakfast or lunch. With its 6:30 am to 3 pm hours of operation--I am never in the right place at the right time. Last weekend, a friend was visiting, the husband and the kids were out of town, and we were able to venture out for a late breakfast/brunch. 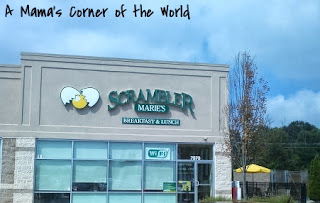 It was the perfect opportunity to visit and review Scrambler Marie’s in Reynoldsburg, Ohio. Scrambler Marie’s is busy in spite of its location. In a side strip of shops alongside a Meijer supermarket off Broad Street, Scrambler Marie’s is certainly easy to miss. Since the restaurant faces East, heavy shades are often drawn to block its glass windowed front from the morning sun--and those passing through may assume it’s closed. A sign on the door announces call-ahead seating--which I would recommend for large groups. Surprisingly, the restaurant is quite spacious on the inside with lots of seating available and even has outdoor patio seating. Bright, sunny yellow paint brightens the walls and farm style decorations dot the dining area. I personally like the location since that shopping area is not yet as congested as some of the other areas of the city. How was the food at Scrambler Marie’s? Scrambler Marie's is an Ohio based chain with a few franchise locations popping up in Michigan--but, I had never eaten at one before. I focused on the breakfast menu--although they do serve lunch options as well. When the restaurant sign features a cracked egg--I have to try out the breakfast options! As we looked through the selections, most offered “mini-sizes” or “downsized” stacks of pancakes or waffles. 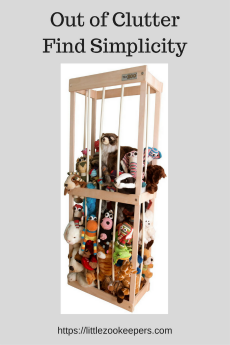 This told us that the full sized portions would probably blow any calorie counts for the week! I chose a mini Spinach and Portabella Mushroom Omelette--with a side of wheat toast from the “Bread Pantry” and a “Scrambler Side” of hash browns. Even the “mini” was a large portion. It was loaded with Swiss cheese and vegetables--and the Swiss cheese actually tasted like real Swiss cheese. The hash browns were a little greasy from the grill--but, I think that’s what I expect from breakfast grill food. 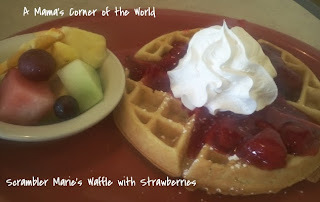 My friend chose a waffle with strawberries and a side of fresh fruit. As she struggled to finish the waffle, our server reminded her that it was a “bottomless” serving--and asked if she wanted a second one. She declined. She absolutely hated leaving behind the last few bites of her first one--but, it was too large to finish. She also commented that the pineapple in her fresh fruit bowl was very fresh--it certainly was not the “thawed-from-a-bag-of-frozen-mixed-fruit” that many restaurants pass off as “fresh”. 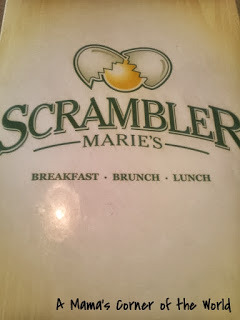 Would I recommend Scrambler Marie’s in Reynoldsburg, Ohio? Reynoldsburg is home to both a Bob Evans and IHOP these days--plus all of the usual "donut shops"--but, I would recommend breakfast at Scrambler Marie’s instead. It’s not quite as commercialized as IHOP or Bob Evans--and not quite as “down on the farm” as Bob Evans either. The food was much fresher than either of those similar places--the portion sizes were huge and the quality and service was better than what I’ve received locally at the usual breakfast places. I would certainly return--and will certainly “mini-size” my meals or even share with one of my little girls next time--if they can be swayed from the children's menu! Visit Scrambler Marie's to learn more about the restaurant--and to check out their promotions and menu. Disclosure: We were not compensated for this review--we just found a restaurant that we enjoyed and wanted to share it with our readers. If you know a restaurant that you think we should visit--let us know! 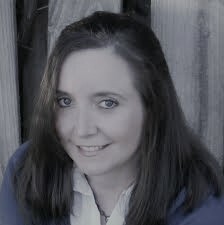 Just stopping by to say Hello . Found you through the Hop! Have a nice weekend!